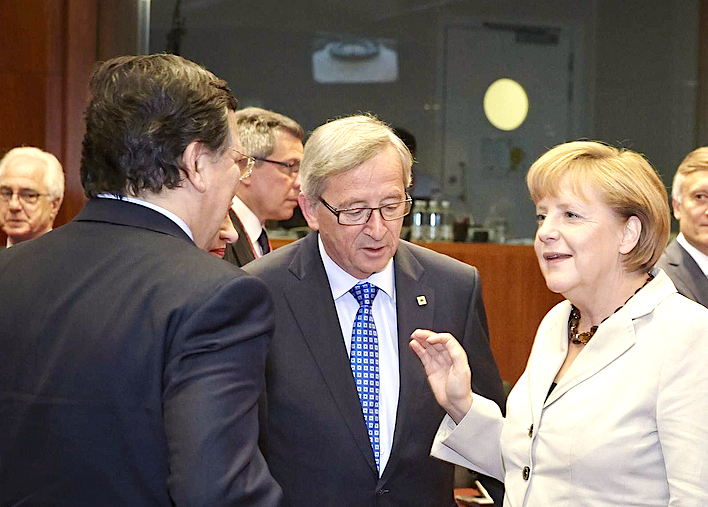 German Chancellor Angela Merkel on Monday (26 May) downplayed the chances of Jean-Claude Juncker becoming the next Commission president, as she emphasised that a majority is needed in both the European Parliament and among member states. 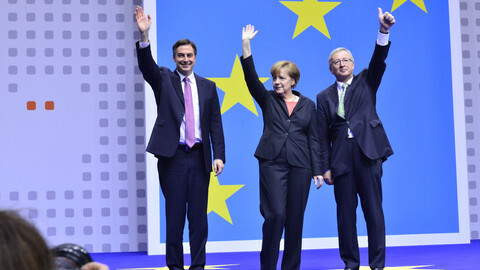 Speaking to press in Berlin alongside the German top MEP candidate for her party (CDU), David McAllister, Merkel first thanked him for the good result the CDU scored in the EU elections – 35.3 percent together with its Bavarian sister party, CSU. She also thanked Juncker for the "good campaign" he ran for the European People's Party, but seemed slightly irritated by the avalanche of questions as to whether she backs Juncker to become the next EU commission president. "I don't decide who gets the post. Juncker is our candidate, the EPP candidate, and we will put his name forward in the discussions. It's always been said that it's up to the strongest group to put forward the candidate, but just being the strongest group is not enough, a majority is required," she said. For a commission candidate – a so-called Spitzenkandidat – to get the post, a majority of 376 MEPs is needed, as well as a 'qualified majority' in the Council, where bigger member states have a weightier vote. Britain and Hungary have already rejected Juncker's candidateship. Merkel downplayed expectations of EU leaders discussing names or seeing who could get a council majority, when they meet in Brussels on Tuesday. "It's not like each head of government will be questioned about what name they back, but rather about giving a mandate for Herman Van Rompuy to start negotiations with the European Parliament and member states," she said. 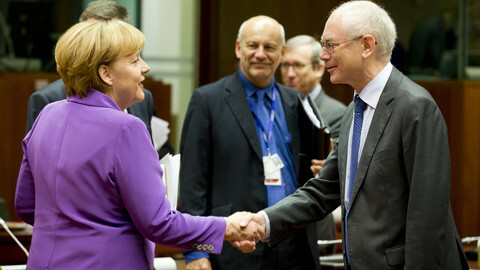 Merkel expects the negotiations to last at least a month, with Van Rompuy set to "report back" to leaders at the 26-27 June summit. She also suggested the commission chief may be part of a broader 'names package' – a reference to the other top posts up for grabs this year: Van Rompuy's successor, the foreign policy czar and the European Parliament chief. 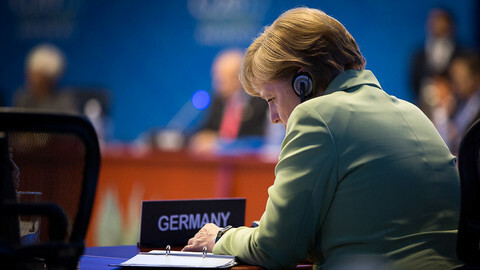 Her emphasis on the lengthy negotiations and the focus on "policy priorities" rather than names reflects a disagreement within her own government coalition, with the Social Democratic Party backing Juncker's rival, Martin Schulz. SPD chief Sigmar Gabriel, who is set to meet Merkel later on Monday, said during a separate press conference that the next commission president should be one of the two Spitzenkandidaten. "We are convinced that nobody who hasn't been a Spitzenkandidat in these elections will or should get a majority in the European Parliament," he said. 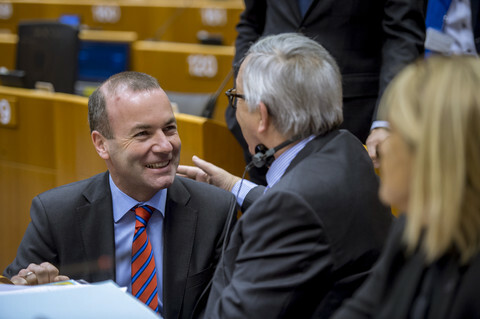 Gabriel acknowledged Juncker's right to be the first to seek a majority, given that the EPP won most seats. 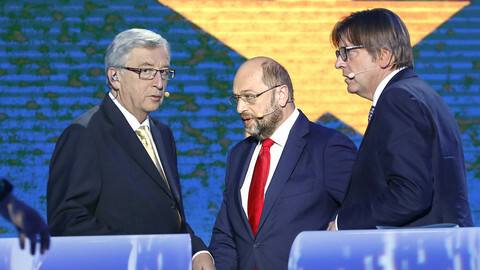 But he noted that without the backing of the Social Democrats (S&D) in the European Parliament, Juncker will not be able to gather the 376 votes he needs. "I will propose for Schulz to be the negotiator of the Social Democrats. It is all right for Van Rompuy to lead the negotiations, but on policies it should be up to Juncker and Schulz to discuss and see who gets a majority in the EP," Gabriel said. If Juncker fails to gather a parliamentary majority on "policies and his person", it would be up to Schulz to try, Gabriel added. He also called on the EPP to exclude Silvio Berlusconi's nationalist Forza Italia and Hungary's ruling party Fidesz for running "anti-European campaigns". "If they kick them out it wouldn't mean that we then say we are the biggest group and our candidate should take the commission. In fairness we would still negotiate on policies and try to reach a deal. 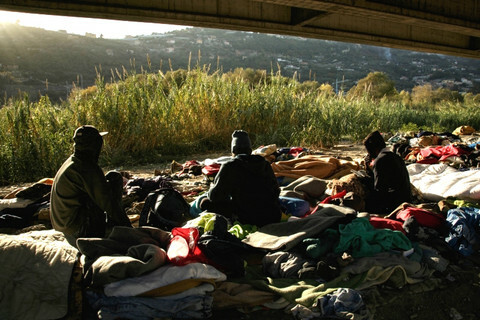 It's not like we will try to become the largest group through the back door," Gabriel said. 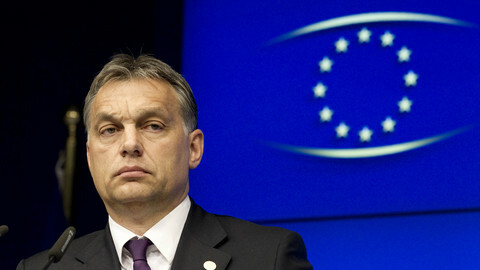 He noted that the the European Socialists (PES) suspended an "eastern European" party due to its nationalist behaviour. Back in 2006, PES suspended the Slovak Smer party from its ranks because it entered a coalition with the far-right Slovak National Party. Jean-Claude Juncker declared victory in the European elections on Sunday, and staked his claim as the first man in line to claim the European Commission presidency. 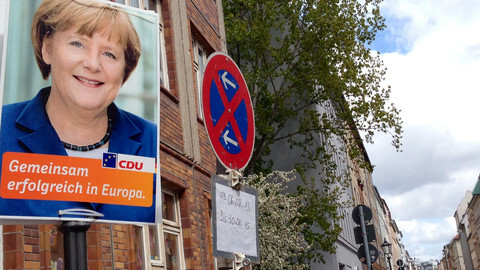 Juncker may be the centre-right's chosen candidate for the next EU commission chief, but his face is nowhere to be seen on German MEP election posters, which boast a smiling Merkel.